Mission: To represent the men and women who maintain railroad signal systems and highway-rail grade crossing warning devices across the nation. In addition, the BRS negotiates contracts and promotes safety in the industry for its members and the traveling public. Local lodges elect delegates to national conventions, which is the organization’s supreme authority. Delegates set policy, review the general state of the union, establish collective bargaining goals and elect Grand Lodge officers, who direct the organization between conventions. 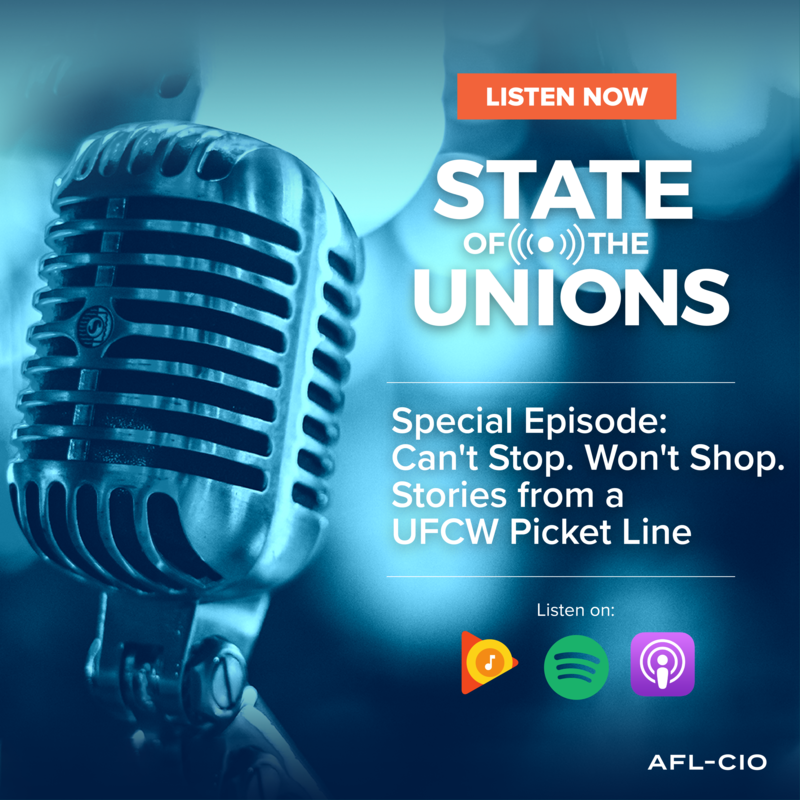 In the latest episode of “State of the Unions,” podcast co-hosts Julie and Tim talk to Kristen Johnson, a deli manager and shop steward at the Stop & Shop in Somerville, Massachusetts. 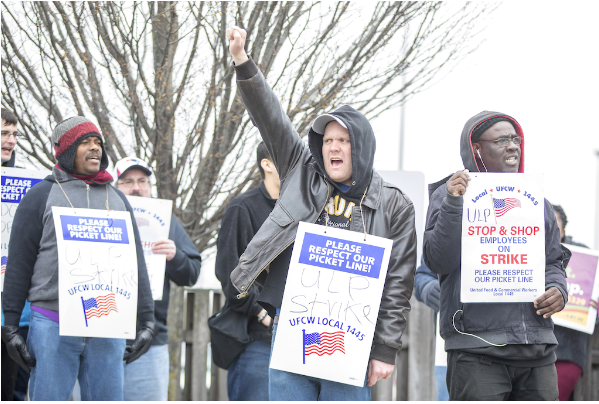 Kristen and more than 30,000 of her co-workers, members of the United Food and Commercial Workers (UFCW), are out on strike for fair pay, benefits and respect on the job. “State of the Unions“ is a tool to help us bring you the issues and stories that matter to working people. 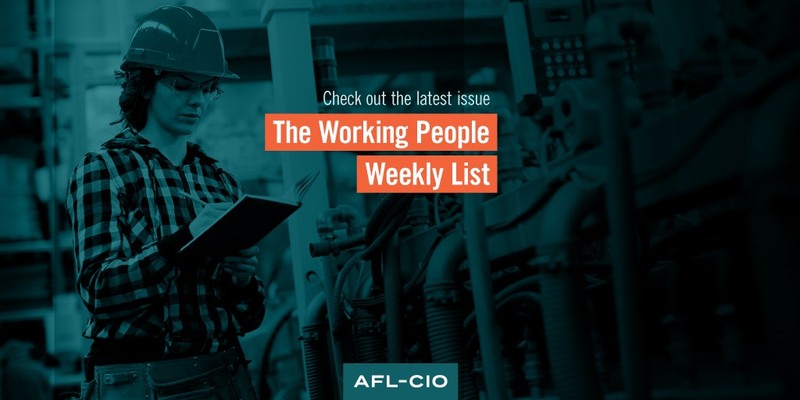 It captures the stories of workers across the country and is co-hosted by two young and diverse members of the AFL-CIO team: Mobilization Director Julie Greene and Executive Speechwriter Tim Schlittner. A new episode drops every other Wednesday featuring interesting interviews with workers and our allies across the country, as well as compelling insights from the podcast’s hosts. Honoring Dr. Martin Luther King Jr.’s legacy with former Mayor Andrew Gillum of Tallahassee, Florida. History: The Bakery and Confectionery Workers International Union of America, one of the pioneers of the North American labor movement, was organized in 1886. In 1957, the American Bakery and Confectionery Workers’ International Union was formed. In 1969, the two organizations united. The Tobacco Workers International Union was founded in 1895 and was also in the forefront of the labor movement. As it and the Bakery and Confectionery Workers’ International Union of America shared many common goals, both organizations came to realize those goals best could be achieved through a merger. That merger, creating the BC&T, took place in 1978. 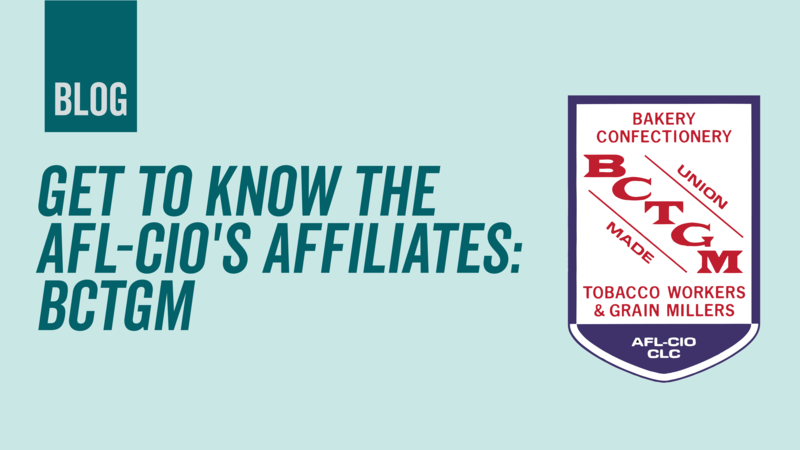 Current Campaigns: The BCTGM’s Check the Label campaign urges consumers to boycott Nabisco-Mondelēz products made in Mexico. The BCTGM also is leading the fight to find a legislative solution to America’s growing pension crisis.